Every time you touch water or a faucet, you feel urinating. Did you have such experience? Yes, you did. This is what we call "ripple effect". Whenever you see a particular object, you remember a certain occasion or a certain incident that you may feel to happen or to occur. How can you explain such domino effects scientifically? Probably, no one can state a definite reason. The answer is no longer in science, but more in the field of brain and spiritual world. What is spirit, then? Spirit (soul) is a special memory bank (intelligence) to make you think and live. Only humans have it. God created it. No animals, no plants, and no other materials have it. It means that only humans can think and invent from memories. No animals can do it. Some scientists try to educate apes to learn like we do. Apes and other animals have no spirit with them, thus, they cannot and do not learn new tricks, but they can just recall memories of what they did. That's all there is to it. 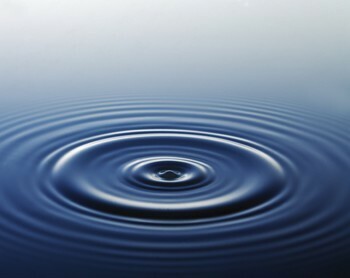 Ripple effect is caused by spiritual resonance that occurs only to human beings through spirit to our brain. There will be no scientists who will succeed in organ transplant, and there was none. But yes, partial organ transplant is all right and was done well. Complete organ transfer to another person failed because you cannot transfer the entire organs with spirit, or you do not transfer organs with spirit at all. It is just like cut flowers. You can place or transfer them in a flower vase with water. It may last for a few days but the flower does not bear fruits or seeds and will fade away. Organ transplant is just like that. There are scientists who claim that they did organ transplant successfully, but they certainly did a partial transplant, not a complete organ transplant. However, science could have a big victory with the process called "Cell Culture". Animal cells removed from tissue will continue to grow, if it is supplied with appropriate nutrients and conditions. This technology was almost perfected by a Japanese scientist with his group. Today, some parts of damaged animal organs including human organs can be replaced by cell culture. In the very near future, any organs damaged by cancer and other diseases can be repaired with the technology of cell culture. Ripple effects will help people live in healthy condition as long as one's brain signals (waves) are undistorted, which means that signals from the brain is reaching up to every corners of body. Also see article "PYRO-ENERGEN Treatment and Listening Music: You Can Change Your Life to Success". Then the signals will return to the brain by means of ripple effects according to a spiritual teaching. Ripple effects occur in several occasions, such as in dreams, when traveling and sightseeing, when you met someone, and in train.